The Kasper Scorpion fixed blade knife was inspired by the Fighting Folder line of Crawford Knives. This model features a slighter larger blade at 4.5" and black micarta handles. 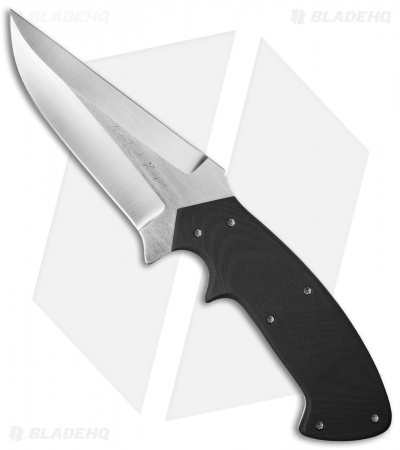 The S30V stainless steel blade is satin finished and is outfitted with a double edge for tactical applications. Item includes a kydex belt sheath that is made to fit inside your waistband with an "S" hook to go under your belt. It also comes with a removable belt loop so that you can wear the knife in the horizontal position, high or low on your belt. Double edged blade for tactical versatility. 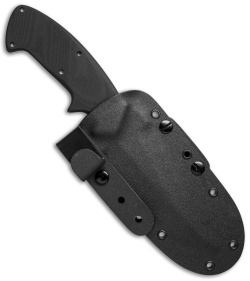 Kydex belt sheath included with multiple belt attachments. 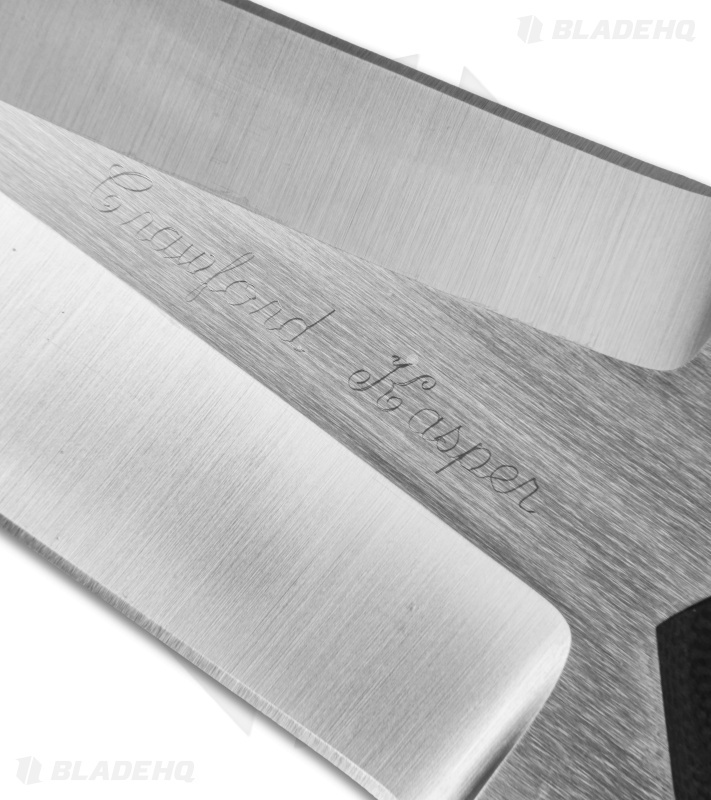 S30V stainless steel blade offers excellent wear and corrosion resistance.